Discuss critiques of the orthodox definition of economics. Understand the differences between facts and beliefs. Describe the differences between needs and wants. Understand the interconnection between facts and values. Compare the differences between scarcity and surplus. Compare the differences between and individual and social approach to economics. Identify the relationship between unlimited wants and environmental degradation. 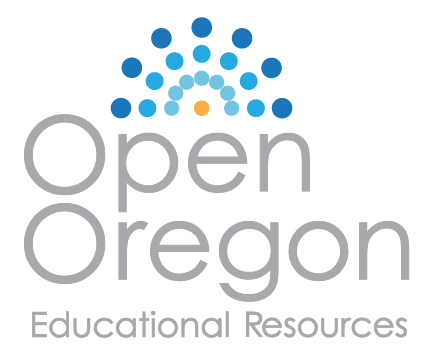 Chapter one presented the orthodox case for utilizing the limited resource, unlimited want definition. For economists outside of the orthodox paradigm, however, the orthodox story contains troubling elements. While potentially insightful in certain instances, the orthodox definition is also potentially misleading in terms of clarifying what it is that is actually happening in the economy. What follows are, from a heterodox (alternative) economic perspective, four critiques of the orthodox definition of economics and its implications. Are Unlimited Wants (and therefore Scarce Resources) a Fact of Life or a Belief? A fact is something immutable, it just is, whereas a belief is something that a person or people think, whether there is evidence to support their contention or not. An atheist or a theist cannot prove their beliefs, God may or may not exist, but there is no way to empirically prove either view. Atheism and theism are beliefs, not facts. In terms of belief-based versus fact-based analyses in the realm of economics, noted 20th century political economist Karl Polanyi criticized the orthodox (neoclassical) scarcity story as scarcity assumed within the mind of the orthodox economist. In other words, scarcity is a belief of the orthodox economist, not a fact. Outside of orthodox economics, such as within heterodox (alternative) economic circles as well as the other social science disciplines, the issue of scarcity as induced by unlimited wants has been extensively evaluated and re-evaluated. For many theorists, the concept of unlimited/endless want of material items is simply not an immutable fact present in all times and places among all human beings. Among anthropologists, for example, there is a rich history of ethnographic studies documenting ways in which small-scale, non-market oriented economies appear to behave differently than orthodox economists predict. One such anthropologist, Marshall Sahlins, explicitly notes that people residing in hunter-gatherer societies, while viewed as deeply impoverished by the standards of people residing in advanced industrial economies, are actually quite affluent because “all the people’s wants are easily satisfied.” For Sahlins and other anthropologists, the hunter-gatherer’s affluence is not one of vast material abundance, but rather a happiness shaped by being contented with having basic needs and wants met. By having little and demanding little, a successful hunt can yield great want satisfaction. Borrowing from psychology, there is also a sub-discipline of economics known as Happiness Economics. Utilizing survey data, theorists pursuing the study of happiness have repeatedly found that people that focus on the goals of monetary gain and material benefits tend to be less happy than people who are less focused or not focused on those goals. It seems that for every endless maximizer of products, there are many more people that are apt to be content and satisfied with far fewer material items, particularly if fewer material items mean a greater level of interpersonal satisfaction like love, the respect of peers, affection, family fulfillment, and relationship fulfillment. Apparently, these and other equally non-material but important psychological factors are more important to the pursuit of happiness than is monetary wealth. Can Facts and Values Really be Separated? Utilizing beliefs, ideas, or subjective values is not, however, an unacceptable practice for most social scientists. Orthodox economics insists that facts and values are to remain separate, otherwise known as positive economics. The orthodox fact/value dichotomy is, however, misleading. Nearly all theorists apply some sort of pre-analytical value to their analysis. The very use of assumptions implies that some kind of value-based decision making process was utilized by the theorist. The irony in this instance is that orthodox economics insists that it is a fact-based science when, in fact, it utilizes value based (normative) propositions. Within their very definition, orthodox economists employ subjective values, such as the desire to maximize acquisition (an assumption, or belief, not a fact), to frame their vision of the discipline of economics. Once again, the use of subjective values on their own is not the problem or even a problem (contrary to the orthodox perspective that economics should be a positive science), but it becomes a problem when a definition states something as “is” as opposed to “believed.” Compare the following phrases, “the study of economics is” and “one belief is that economics studies.” The first phrase leads the reader to believe that economists deal in absolute facts while the second phrase implies that some economists may have settled on an accepted set of ideas, but those ideas remain up for debate. An honest presentation of the orthodox definition of economics would note its subjective, normative, non-positive nature. There is another fundamental question that Polanyi’s critique alludes to: does scarcity as perceived by the mind actually mean that there is a scarcity of resources? For Polanyi, the orthodox definition of economics is circular, it has neither a beginning nor an end, just continuous scarcity because of limitless want. After all, if human beings have unlimited wants, then resources have to be scarce, there is simply no way for all wants to be met if wants are endless. Close inspection of the orthodox definition of economics makes it clear that the picture of the homeless man on the bench presented in chapter one is not actually a result of scarcity, at least not as scarcity is defined within the orthodox tradition. Again, recall that the orthodox definition of economics describes scarcity as resulting from endless “want.” Endless want does not mean that there are not enough resources available to fulfill all of humanities basic needs. Nor does endless “want” mean that many wants cannot be met given available resources. Obviously the man on the park bench may have some very legitimate wants (certainly needs, like adequate shelter), but is he on the bench because there are not enough resources available to make sure his basic needs, such as a home, or other wants, are met? At least in terms of available housing, the answer to this question is an overwhelming no. According to the U.S. Department of Housing and Urban Development on any given night in January of 2015, 564,708 people were homeless. At the same time, the number of vacant residential properties in the United States numbered approximately 1.4 million. The homeless man’s lack of housing is not the byproduct of scarcity, at least not by the definition of scarcity that many people are accustomed. Rather, the homeless man on the bench is the byproduct of either misallocated resources or a maldistribution of production. Again, this instance of basic needs not being met may be perceived as a situation of scarcity. However, as reported by the WHES, poverty is the overwhelming driver of global malnourishment. While poverty implies a scarcity of income, possibly due to a scarcity of employment possibilities, the actual product that resolves malnourishment, food is produced in enough abundance to adequately feed everyone. Once again, basic human needs are going unmet and this has nothing at all to do with the scarcity of resources. An interesting outcome of reorienting the definition of economics away from the scarcity story, when evaluated on what is actually available, is not that resources are endless or that all wants can necessarily be met, but that it is apparent that there are often more than enough resources to meet all of humanity’s material needs as well as many, many, many of humanities wants. Reoriented this way the story of economics becomes a story of surplus and abundance, rather than shortfall and hardship. A much less dismal, and likely more realistic, science indeed! A distinction must be made between needs and wants, as they are decidedly not the same. Need – Reflects something that is necessary for a human being to sustain basic physical and psychological health. One fairly well known measure defining needs is Maslow’s hierarchy of needs. In Maslow’s hierarchy basic physiological needs, like food, water, air, shelter, safety, must be met first, followed by psychological needs, such as love and affection, with self-actualizing needs being met last. Importantly, while Maslow’s hierarchy provides a framework, it must also be understood that the concept of need evolves depending on the social circumstances and technological make up of a given economy. In the absence of basic physiological needs being met, a person’s life will suffer to the degree that in many instances their life may be shortened. For example, homeless people have shorter life spans, 42 to 52 years, than non-homeless people, 78 years. A want is different from a need. Want – is something that is desired, but also not necessary for an individual to live and function in a society. For example, while basic shelter with appropriate utilities such as gas, electric, water, sanitation, and basic cooking, cleaning, and food storage appliances will generally fulfill basic needs, additional products such as dishwashers, large screen televisions, hot tubs, and many, many other products are wants. To further distinguish between needs and wants, consider the following example. In some communities the existing transportation infrastructure is nearly completely and exclusively automobile dependent. In order for a person to have a reasonable expectation of functioning, physically, socially, and economically in this socioeconomic environment, a person will need access to an automobile. In this case, a functional automobile is, in fact, a need, but a high end SUV is not a need, it is a want. Based on the orthodox definition of economics it is clear that the orthodoxy is interested in wants rather than needs. The absence of needs from the orthodox definition is a curiosity. There are several possible reasons why needs are not explicitly referenced in the orthodox definition. Two possible reasons will be addressed here. First, it is possible that orthodox economists do not differentiate between needs and wants, thus all needs really are just wants. Second, orthodox economists may be assuming that needs are already being met. If basic needs are met, then it is not only possible but reasonable to study what people want. In critique, the orthodox merger of needs and wants seems to produce potentially misleading insights. While one can certainly make the argument that all people want their needs to be met, such that a need is nothing more than a type of want, basic needs must be met or the study of additional wants becomes useless as there can be no other wants. Additionally, even if it is assumed that needs are being met, this does not actually mean that needs are being met in the world where people really live. If needs are not being met, can orthodox economics be trusted to study the situation and then prescribe a solution that might ease human suffering? The answer to this question is unclear as the orthodox definition of economics does not provide direction toward the study of needs. INDIVIDUAL PERSPECTIVE OR SOCIAL PERSPECTIVE? As a discipline, economics is categorized as a social science. The social sciences, in general, seek to develop understandings about human interactions on a social level. For example, an anthropologist may be interested in understanding the role of culture as it influences human behavior. Culture can be represented as social norms, rituals, and/or customs that different groups of people, mostly collectively, participate in performing. Another example of a social science is political science. A political scientist may be interested in examining political institutions and legal structures. In order to better understand why individuals or larger social groups of people exhibit certain behaviors, an understanding of how a society structures its laws, the rewards or penalties people encounter as a result of socially derived rules, is essential. For the orthodox economist, however, the social element of economics is secondary to that of the individual. Again, the orthodox definition of economics gives the orthodox economist direction. Recall, the focus of the orthodox economist is on want fulfillment with wants being satisfied by goods and services produced by resources. The reason products are wanted is because products, presumably, provide the recipient with happiness, or utility. Since people are presumed to have endless wants, people are also presumed to have an endless desire for utility. In many ways orthodox economics is really just the study of the maximization of utility. But how is utility measured? Well, it’s not. Utility is subjective, it is in the eye of the beholder. As such, the study of utility maximization is the study of individual choices. After all, the only way to know what makes a person happy, or bringing the most utility is to evaluate the consumption choices that people make. As such, the focus of orthodox economics is that of individual choice making. For some in the orthodox economic community, the focus on the individual is a conscious choice, purposeful and known, and often times affectionately referred to as “methodological individualism.” A methodology is an approach for addressing concerns that a discipline believes are essential. Methodological individualism is a method anchored to examining the individual, placing front and center the issue most essential to that of the orthodox economist: individual decision-making. But if the individual is of utmost importance, then the role of social is much less clear within orthodox economics. This is not to say that the larger society is ignored by orthodox economists. For orthodox economics the social does emerge but, consistent with their dedication to studying individual choice, it is as a byproduct of individual maximizing behavior. Once individuals pursue their own self-interest, the orthodox economist is tasked with simply summing or aggregating the individual behavior and the result is the larger social outcome. For those outside of the orthodox economic tradition, many important considerations are seemingly lost by the direction of orthodox economic analysis. Take for example the question of how broader societal norms as a function of social institutions may have influenced the behavior of individuals. By assuming away the social and focusing exclusively on the individual, the orthodox economist will be apt to ignore such issues as how social institutions may have influenced individual behavior such that it is now not prone to maximizing individual acquisition. In other words, let’s say people really don’t just look out for themselves all of the time, seeking to acquire as many products for themselves as they can, but instead, people behave such that they are concerned for the well-being of others, maybe because the norms of their society encourage a less than self-centered set of behaviors. Non-acquisitive, non-self-interested individual behavior tends to be outside of the scope of orthodox economics, but it is not outside the scope of actual human economic interactions. For many non-orthodox economists, the absence of a clear social perspective limits the understandings available to the practitioner of methodological individualism. Some orthodox economists have objected to the idea that they are assuming that people are greedy, only wanting products or those things that can get products, namely resources or money as money is what is used to perform purchases. One orthodox economic argument that has emerged claims that the orthodox economic model can be extended to include the story of “enlightened self-interest.” Enlightened self-interest is the idea that it can be in one’s self-interest to act to benefit others. In some regards enlightened self-interest can be interpreted as someone serving society such that through their service society is better-off and, subsequently, as a member of society, the individual then benefits. A common example of enlightened self-interest is charitable giving. Charitable giving is the opposite of individual acquisition as the person giving to charity is presumably giving away something of personal value for themselves so that someone else can benefit. Orthodox economists argue that the reason a person engages in charity, or another type of enlightened self-interest, is because they gain utility from knowing that they have done something that is perceived as “good” for society. There are two problems that become evident when the orthodox enlightened self-interest argument is compared to the orthodox definition of economics. First, enlightened self-interest is inconsistent with the basic premise described by the orthodox definition of economics. To once again reiterate, the orthodox definition of economics is stipulating that people’s unlimited wants are fulfilled by resources and resources are utilized to produce products, thus want fulfillment is synonymous with product acquisition. Returning to the charitable giving example, it is clear that charitable giving is not product acquisition but rather product dissipation. Thus orthodox economics cannot, without contradicting itself, apply its definition of economics to a story of enlightened self-interest. Another definition of economics would be necessary to account for human behavioral actions associated with what is perceived as enlightened self-interest, or really any human action that is not associated with the acquisition of products. Some thoughtful orthodox economists have recognized the contradiction between their definition of economics and the idea of enlightened self-interest. As a result, some orthodox economists have re-cast their position arguing that utility can be derived from anything, not just material products. In other words, for the orthodox economist all human actions and behaviors are driven around utility maximization and thus the study of economics is really the study of utility maximization. When re-cast in this light, however, the second problem appears. If all actions provide a person with utility, and all people are utility maximizers, then any action can be said to be utility maximizing, otherwise the person would not engage in the action. Based on this construction, the orthodox economist would be reduced to observing what people do and then proclaiming that it must be in their best interest. As a critical thinking exercise an important question now emerges: when exactly does orthodox economics become a social science? Saying that people do as they do because otherwise they wouldn’t do it does not represent science, it has very little empirical function. It is also not focused on the social as it does not account for any social factors that may influence or disrupt individual behavior. And it provides almost no predictive possibilities other than identifying what might happen in the future based on what has happened in the past. Once again, confronted with such limitations many economists suggest that another definition of economics may be more substantive and useful. Breakout Box – What About Behavioral Economics? A common approach to identifying the factors that condition individual choice-making is to run experiments that test human response to incentives. A controlled experiment provides researchers with empirical, data-driven evidence as to how and why people may not respond to opportunities for individual gain in the ways that orthodox economics predicts. For many outside of orthodox economics, the development of behavioral economics is a step in right direction for the larger science of economics. Having evidence and being able to explain a wider range of phenomena rather than simply stipulating that people do as they do otherwise they wouldn’t do it, appears to move the discipline of economics toward more realistic insights. At the same time, critiques of orthodox economics are also apt to note that behavioral economics still does not go far enough with its approach. Behavioral economics emphasizes an analysis that begins with the standard orthodox isolated maximizing individual and then searches for deviations from this behavior. By the very nature of their focus, behavioral economics under-emphasizes social considerations. As such, data may be derived that draws out the idea that an individual is making choices that are influenced by social institutions, but absent the study of those social institutions, the theorist is possibly still in the dark as to why the social institutions elicit the response that they do on the part of the individual. The result is that behavioral economics broadens the scope of economic inquiry but, for those outside of orthodox economics, it is still too narrow of an approach. The final critique presented here may be the most important in terms of its implications for the future of humanity. The Earth is a finite biosphere. There is simply only so much atmosphere, land, water, minerals, ores, and other natural resources within the bounds of the planet. In this way, the Earth really is representative of a circumstance of scarcity. Certainly improved efficiency is capable of extending the productive capability of the available natural resources, but this does not change the fact that there is a limit to how much is actually available. Regardless, for many orthodox economists, the principle of endless growth is unquestionably desirable and it is downright sacrilegious to doubt the merits of endless economic growth. Consider the orthodox definition of economics and its emphasis on the desirability of endless happiness and that happiness being derived from the endless consumption of products. Given the premise of unlimited wants, the need for endless production is obvious and, by continuation, endless production is a synonym for endless, exponential, economic growth. In the simplest sense, more products produced means that the material well-being of society is improved. For orthodox economists, the improved material well-being of society cannot be understated. For example, it is not uncommon for orthodox economists to argue that given enough growth, social maladies such as poverty can be alleviated and, in time, eliminated. Of course, the orthodox economic perspective leaves aside incredibly important considerations such as whether or not new material products are equitably distributed. But, as orthodox economists would note, an unequal distribution of products is a separate problem from inadequate production and overt want, so the existence of inequality does not undermine the importance of economic growth. The issue of endless growth in a finite biosphere presents orthodox economics with interesting conundrums. If resources are finite, how is endless growth possible? Again, orthodox economics does provide an answer in form of the advancement of knowledge and technology that allow for improvements in productivity and efficiencies creating opportunities for endless growth. But what if endless growth then yields waste that pollutes the natural environment making human life on the planet ever more difficult to sustain? The answer to this question is more difficult and the failure to answer is more perilous. Even if knowledge and technological advancement can improve productive efficiencies, absent the elimination of waste, exponential economic growth will add waste to the land, sea, and air. Just as lily pads can overrun a pond, with exponential economic growth and its associated waste, the effluent byproducts of industrial production can inundate and overwhelm a finite biosphere. 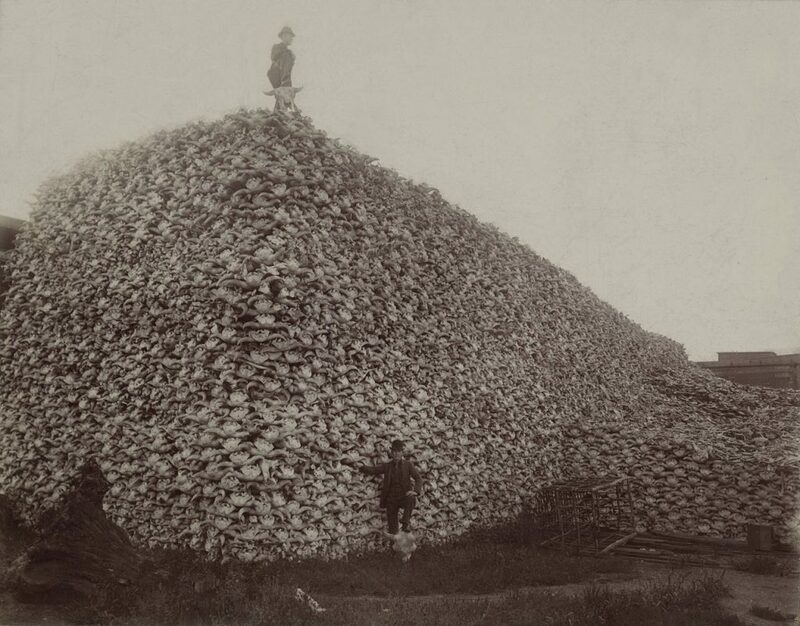 The mass annihilation of the Plain’s Bison in the 19th century is a grave depiction of the ability of humanity to inflict harm upon the natural environment. It is clear that human economic activity nearly inevitably leads to the creation of waste byproducts, pollution. Not only is the Earth’s biosphere limited in terms of what it can provide in the way of natural resources toward productive output, it is also limited in terms of how much waste it is capable of absorbing on land, in the sea, and in the air. For example, the Stockholm Resilience Centre has identified nine planetary boundaries (environmental thresholds) that must not be eclipsed if human life is to safely exist. The nine planetary boundaries are stratospheric ozone depletion, biodiversity loss, chemical pollution, climate change, ocean acidification, freshwater consumption, land system change, nitrogen and phosphorous flows to the biosphere and oceans, and atmospheric aerosol loading. Of these nine boundaries, three in particular, climate change, ocean acidification, and stratospheric ozone depletion, are of such consequence that if the threshold is surpassed, then the planet’s basic ecology will likely be fundamentally destabilized. In the case of climate change and ocean acidification, the two issues are caused by human economic activity and are inherently interrelated. Climate change is caused by carbon dioxide emissions and ocean acidification is triggered when the oceans absorb and process carbon dioxide. Strikingly, at least in the case of climate change, the proposed boundary for atmospheric carbon dioxide has been surpassed as 350 parts per million (ppm) is the boundary while actual carbon dioxide levels now exceed 400 ppm. 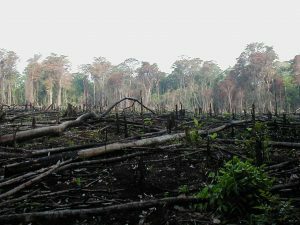 Clearly, human economic activity, and the associated environmental destruction of the Earth’s biosphere as a result of economic growth, does present a powerful challenge to the importance of economic growth. Given the above-stated considerations, going forward humanity must consider the possibility of orienting its economic activity within the context of limits. The direction of orthodox economics, as guided by its definition, is not, however, oriented toward accepting limits. In the face of the abundance of scientific evidence pointing toward human factors as the cause of a de-stabilizing natural environment, the orthodox definition of economics appears to point economic analysis in a direction counter-productive to health and well-being of life on this planet. As a result, it stands to reason that another definition of economics, one less rigid and one-dimensional, may be of use. Orthodox economics is not entirely oblivious to environmental concerns. Nearly a century ago orthodox economic thinkers such as A. C. Pigou recognized the potential for a concept known as externalities. Discussed in chapter 18: Environmental Protection and Negative Externalities, negative externalities represent the idea that sometimes economic activities create unaccounted for costs that impact third parties, or those people who are not directly involved in the economic activity. Any failure to properly account for a negative externality means that the market system has failed to efficiently allocate resources. For Pigou and orthodox economics, the solution to negative externalities is the development of institutional mechanisms that assign penalties to those that create negative externalities. A common orthodox example of an institutional mechanism designed to address negative externalities is the government being granted the regulatory task of environmental protection. From the standpoint of orthodox economics, pollution and environmental degradation represent a negative externality, an unaccounted for cost on the larger society. As a regulator, the government can utilize any number of regulatory tools to try and mitigate pollution. For example, one choice preferred by many, but not all, orthodox economists, is the use of taxation as a way to increase costs to polluters. Overall, orthodox environmental resource economics places the environment as sub-ordinate to the economy, and argues that marginal analysis should be utilized to measure the economic costs and benefits of environmental changes. As will be later illustrated in chapter 18: Environmental Protection and Negative Externalities, by invoking a tax on polluters in a market economy, costs to producers rise. As costs rise the producer will produce less of the product the production of which is creating pollution. Additionally, with less production of the product, the supply of the product will decline generating an increase in price of the product. The outcome is three-fold. First, with less production comes less pollution. Second, with less production the product now sells at a higher price, with the price capturing more of the negative externality and reflecting something closer to the true cost of the product. Third, the tax revenue generated from the tax has the potential to be used to compensate the victims of the negative externality. On the face of it, it appears as though the taxation solution to an externality is providing a final outcome that is close to ideal. Critics of the orthodox economic externality resolution argument have their doubts about the efficacy of the orthodox approach. The following questions represent a small sample of possible concerns. For starters, it is possible to conceive of an economy with a seemingly endless variety of negative externalities, does this mean that all externalities will be taxed? Failure to properly tax negative externalities means that the economy is rife with inefficiencies. Additionally, how large of a government bureaucratic structure would be needed to adequately address all externalities? Might the solution be worse than the cure? Also, even if all products to be taxed could be identified, how can a regulator be certain to precisely calculate the size of the tax in order to correct for the costs of the negative externality. Of course, even if all of the questions above could be sorted out and resolved, there are still basic fundamental issues and contradictions, associated with the orthodox definition of economics, which the orthodox argument fails to address. For example, all efforts to address negative environmental externalities call for the reduction of waste and some kind of constraint on economic activity and growth. Any check on growth clearly and obviously runs afoul of the basic tenet of orthodox economics, as is clear in their definition, of endless want of products and the associated desirability to try and meet those wants. Also, any reduction in production will also act to reduce consumption, presumably limiting consumers’ abilities to increase their utility by acquiring products. The primary conclusion being that orthodox economics’ own solution for externalities runs counter to the foundations of their definition of economics. Some critics of the standard orthodox environmental resource economics arguments, through their application and advocacy for ecological economics, have sought to re-orient the relationship between the economy and the environment. Whereas orthodox economics views the natural environment as an external factor that may be impacted by economic activity, ecological economists place the economy in a sub-ordinate role to the natural environment. Ecological economics generally tends to support the notion that the natural environment must be nurtured and protected, as, without it, an economy and human life cannot function. As such ecological economics has a more cautious perspective regarding economic activity and how it impacts the natural environment. As a result, standard orthodox economic concepts such as endless economic growth and want fulfillment are of secondary importance to long term sustained living made possible through the protection of the natural environment. As such, ecological economics operates outside of the orthodox definition of economics.